The Varsity is celebrating its 90th anniversary Saturday. Everything on the menu will be $.90. 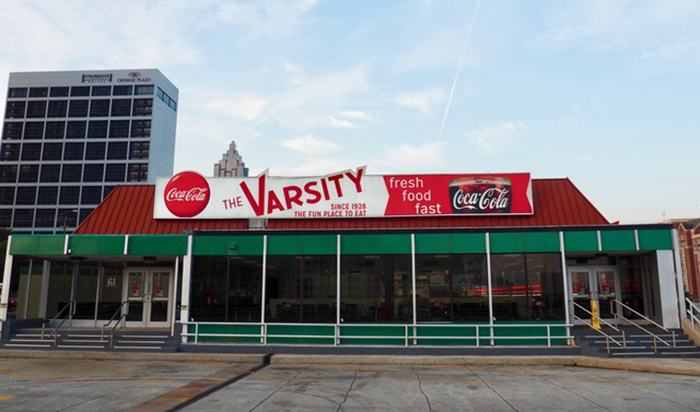 As another company that has been in Atlanta for a while (1947 - we’re a spry 71), we’d like to congratulate the iconic North Avenue mainstay as well as the Gordys, the Simms and the Muirs — three generations is a remarkable feat in today’s age. For the world premier of “Gone With the Wind,” Clark Gable, aka Rhett Butler, visited The Varsity in 1939. He was served by the legendary John Wesley ‘Flossie Mae’ Raiford, who was noted for his outlandish hats and for singing the entire Varsity menu. The Varsity was originally named "The Yellow Jacket,” and was located just off the Georgia Tech campus. In 1928, it became The Varsity and moved up North Avenue. On the first day of business, the restaurant made $47.30. Frank Gordy Jr. opened The Varsity Jr. on Lindbergh Drive. in 1965. The building was one of famed architect John Portman's first designs. 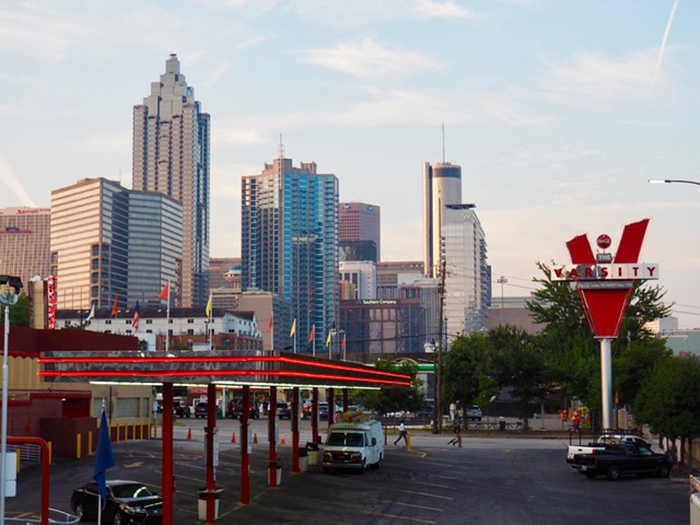 In 2010, after 45 years at the Lindbergh Drive location, it closed over a zoning dispute with the city of Atlanta. By 1950, The Varsity had claimed the title of the World's Largest Drive-In. Being a carhop at The Varsity was a coveted job, and by the 1950s, nearly 130 of them were employed. One carhop boasted earning nearly $12,000 in tips in a year. In 1962, owner Frank Gordy opened the Athens location, proving renaming the drive-thru from the Yellow Jacket was a good move. President George H.W Bush came to The Varsity in 1990 and stayed long enough to enjoy a hot dog, peach pie and a Coke. That started a trend of presidents visiting the iconic restaurant, including Bill Clinton in 2002 and Barack Obama 2012. What is your favorite memory of The Varsity?